Here is Hebei feixiang rollforming machinery the Golden supplier for Roll Forming Machine in China. 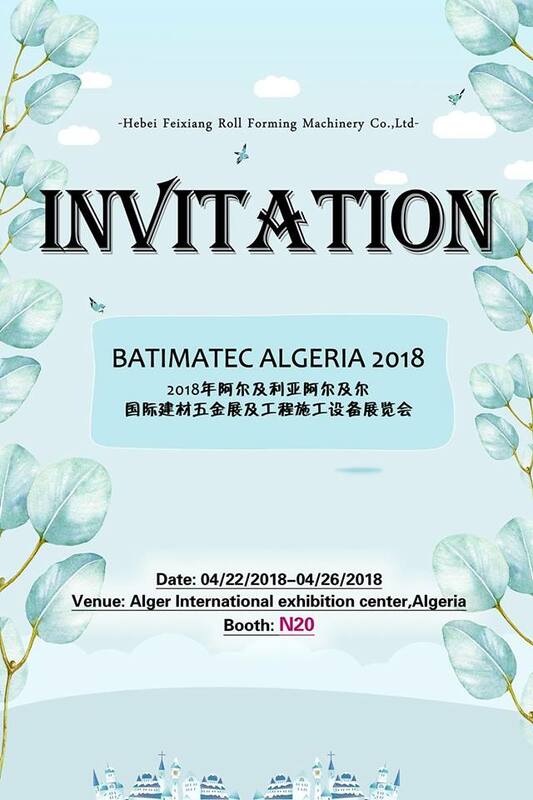 You can visit us on 22th to 26th in April, we will prepare the delicate gift for you. If you have any think about the roll forming machine, kindly of you to let us know. I will provide you the professional solution and best serivce, especailly our payment terms can support you so much. Expecting to meet you there.